Nigel is an elite USPTA tennis professional with over 25 yrs of high performance training experience. Since moving to the U.S he has contributed and implemented play based adult and junior programs at many of the indoor and outdoor Tennis clubs in the CT and NY area. This website brings together all of the resources used to make elite players from the ground up. Follow Upstarz on the buttons below and join our community of coaches and students. Get a headstart or just get started. Racquet sports are an amazing way to improve your health and get the most out of every season. 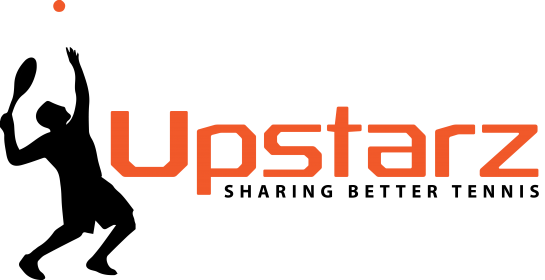 Upstarz is your online Tennis coach whenever you need it, wherever you are! Check where you are right now with the help of the Player Rating system. Watch what players like you and maybe a bit better can do. Get playing at Leewood Golf Club. We have a full range of specialized Tennis programs to get the whole family active this summer. At Vista Indoor Tennis, kids learn more than just tennis. They learn perseverance, dedication, hard work, respect for others, sportsmanship, and teamwork. OsteoStrong is a proven non-pharmaceutical option that has shown to increase bone density in our members, eliminate back and joint pain, and increase muscle strength. We guarantee you will get measurable improvements in bone density and strength. I WANT MY TENNIS, ON MY SCHEDULE!